Ahh, you know how when you were young and anytime you went to a gift shop, there was always personalized mugs, key rings, snow globes and other souvenirs? I could never ever find anything with "Mimi" on it. Not that I wanted a tacky tourist knick knack personalized just for me or anything, but it just felt like they skipped me. Behold, Zoya Mimi. All my years of being left out from not having a common name is finally at an end, and I'm being rewarded for my patience. I was given Zoya Mimi from my friend Mae (thanks again!) and I'm more than pleased, I'm downright thrilled. The funny thing is that even though it's a grape purple polish with small glitter flecks that shift from lavender to pink and finally pale gold, I can't get it to photograph the right color! All my pictures turned out blurple! 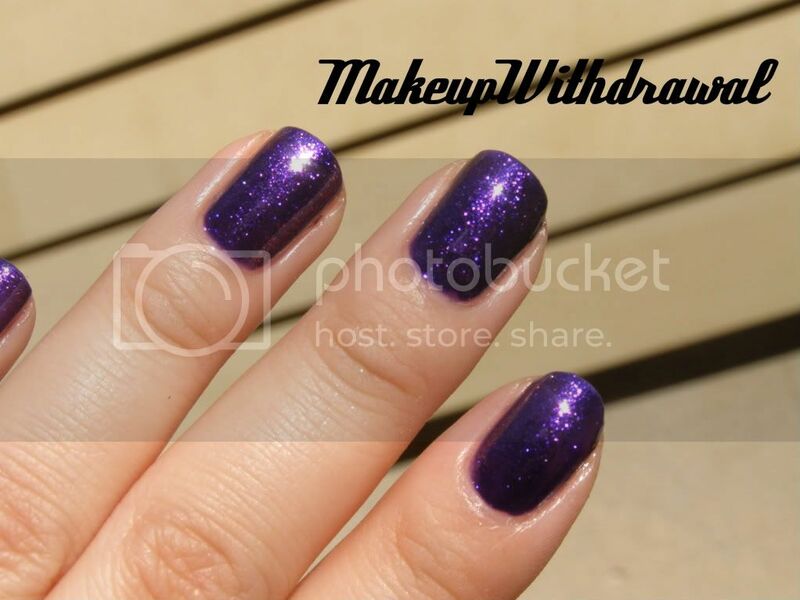 Mimi is such a rich, royal looking color that I feel like Zoya must have looked deep into my heart and created a color just for me. (Ok, I'm not really that self centered, but I like to entertain such notions like that every once in a while, just for fun). 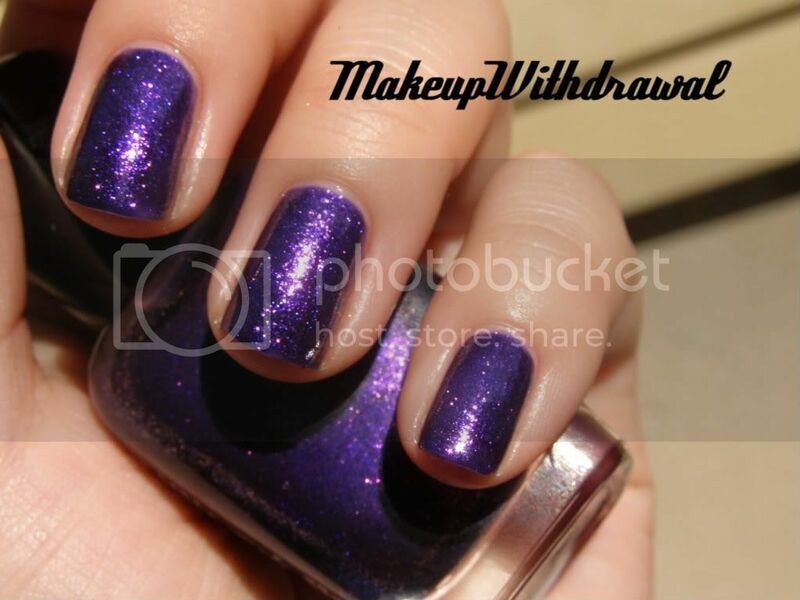 The wear on this polish was pretty good, and I used 3 coats to get the most out of the glitter bits. It wasn't super hard to remove or anything though, nor did it stain on bare nails for me. 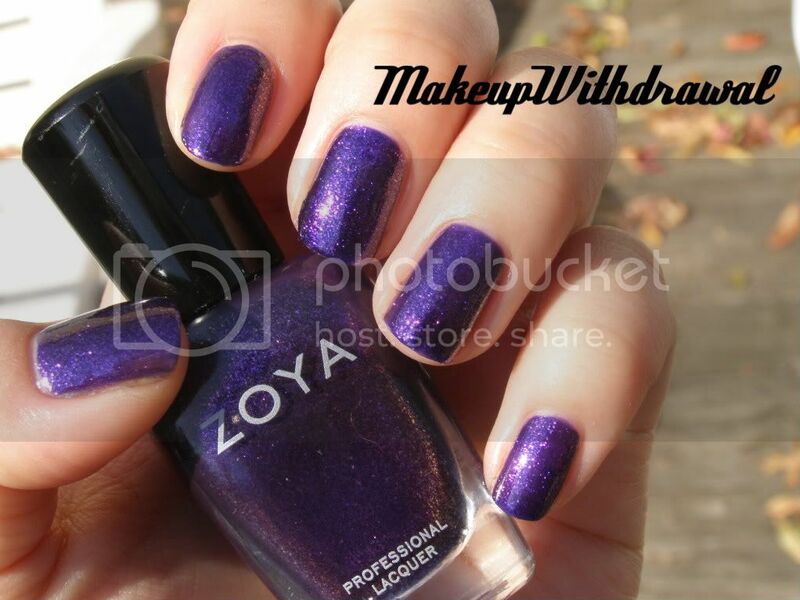 What do you think about Zoya Mimi? Do you know of any other products named after you? Do you like them? Product was given to me from a friend.